Our location in historic downtown Bellefonte is our company headquarters and has been in this location for over 12 years now. The beautiful architecture of downtown Bellefonte surrounds our building and even continues inside where we have completely remodeled it after our fire in 2015. Come in and see all of the current offerings from Verizon including iPhones and iPads, Galaxy phones and tablets, home and office internet products and services, phone lines for Home and Business and so much more. Our experienced and knowledgeable staff has built our corporate reputation for friendliness and willingness to help you get the exact service you need and pay the least amount possible for it. 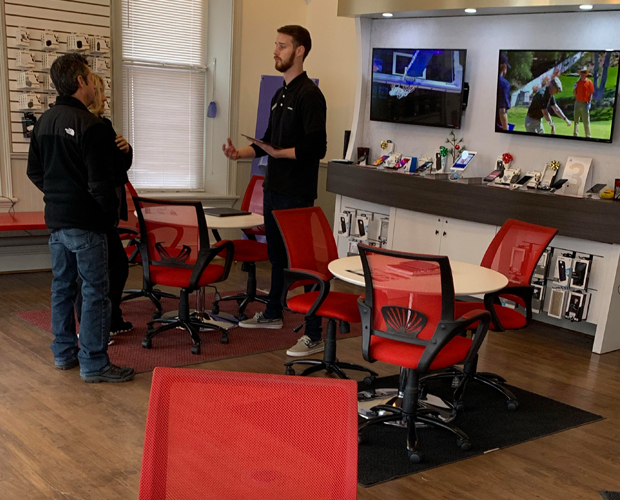 Come see beautiful historic Bellefonte and get our No Wait Guarantee and 1/2 price Setup on Device Payments to save you time and money over other Verizon locations.